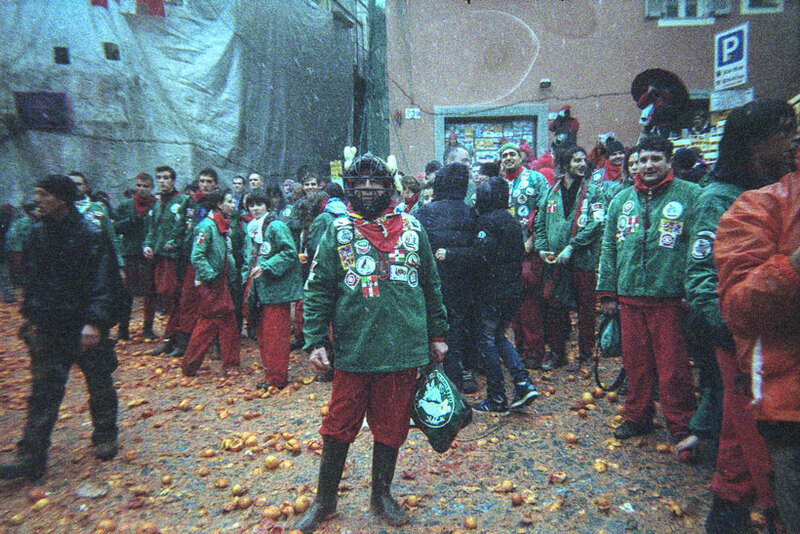 The Battle of the Oranges is a festival in the Northern Italian city of Ivrea, which includes a tradition of throwing of oranges between organized groups. Oranges fly fast, adrenalin too. 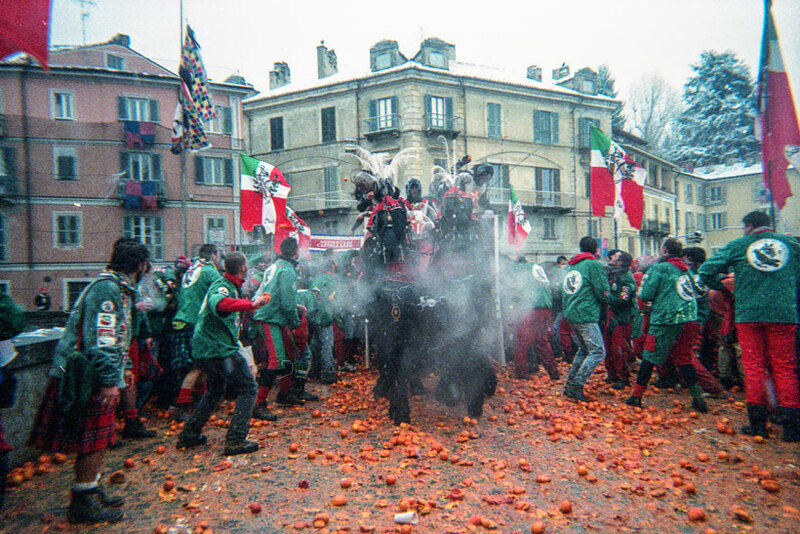 I decided to photograph the battle of the oranges up close. I went really close. Very close. 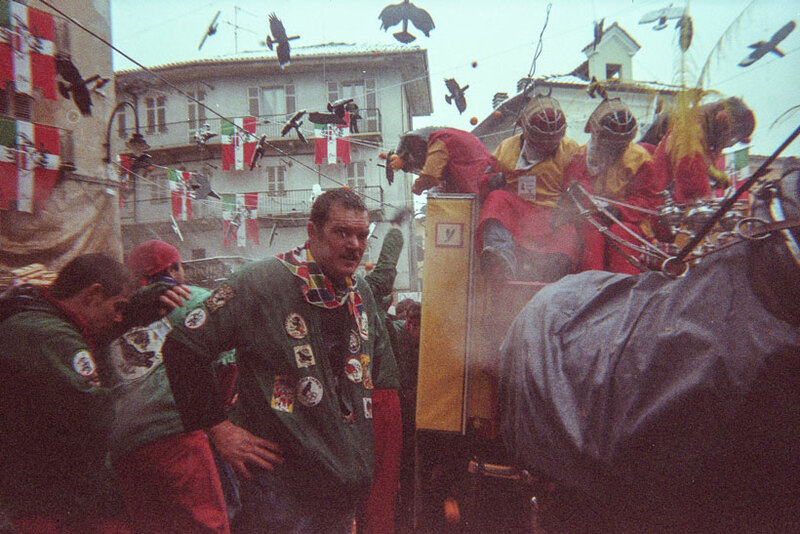 To do that I bought a disposable film camera, waterproof, with a 800 Iso roll. patrick - I wonder what the horses think about all that.